Early Melbourne architect Charles Laing designed St Paul's Church of England, Geelong. 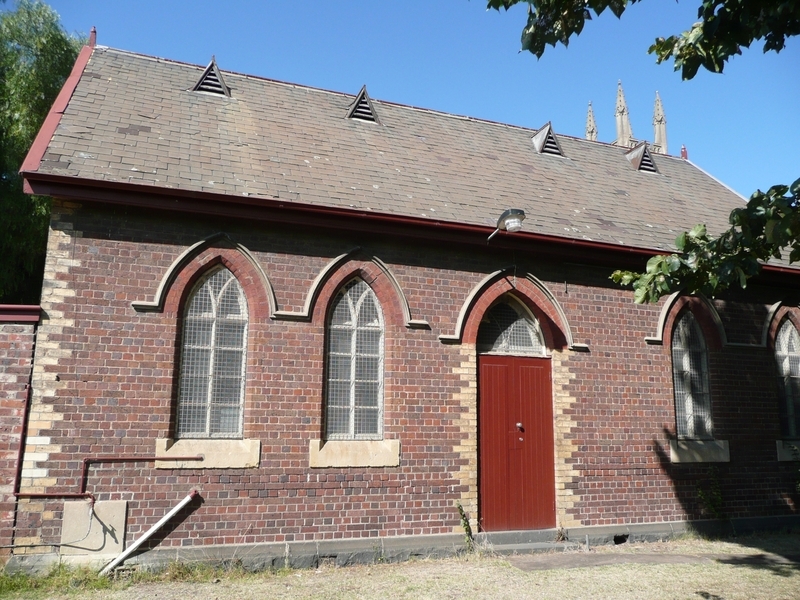 It was the second Anglican church built in the township, in response to the rapid population growth in the area. Construction commenced after the first sod was turned on the site in December 1850 by Governor Charles J Latrobe and the foundation stone was laid by Bishop Perry. 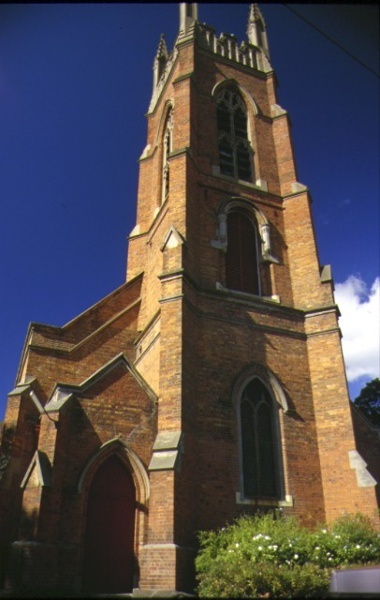 Completion of the first stage of the church was delayed until the mid 1850s due to the shortage of labour caused by the gold rush, and architects Snell and Kawerau were responsible for work carried out in 1853 and Snell and Prowse for work undertaken in 1855. Further work, including the extension of the chancel, was completed in 1863 and the tower was built in 1865, designed by architect Leonard Terry. A new sanctuary was opened in 1877 and various repair and restoration works were undertaken from 1887. The church is generally Early English Gothic in character. It is of simple nave form with stepped buttresses, and a central front tower, which incorporates a round Norman arched opening and perpendicular Gothic windows, crenulated parapet and pinnacles above. The building is constructed of face brick, unusual for this period, and has freestone dressings and a slate roof. Unusual tall timber columns provide internal support to the structure. In 1880 a Sunday School building, designed by architects Alexander Davidson and Company, was constructed at the north-west corner of the site. Like the earlier church building, it was constructed in brick with a slate roof, but adopted a more picturesque form of the Gothic Revival style. 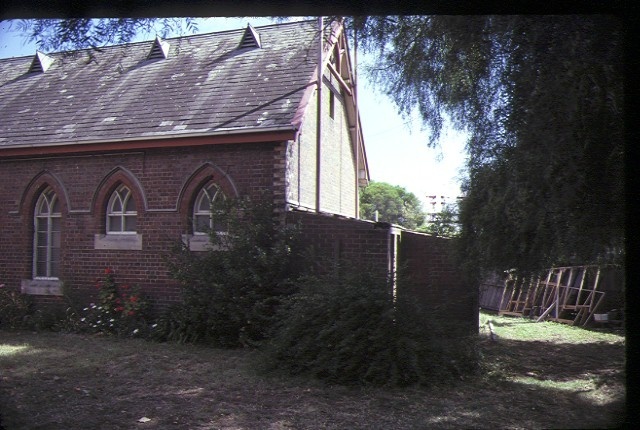 In 1884 a brick Infant School was built, similar in design to the Sunday School. These later became known as the Parish Hall and Choir Hall respectively. A fourth building on the site is the timber Union Hall which was originally built near the parsonage in 1891, to designs by the architects Laird and Barlow. After several relocations, this hall was finally located between the Union and Choir Halls in 1978. 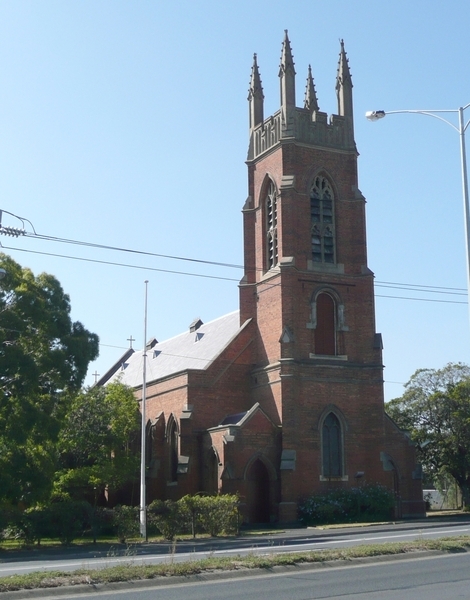 St Paul's Church of England, Geelong is of architectural and historical significance to the State of Victoria. 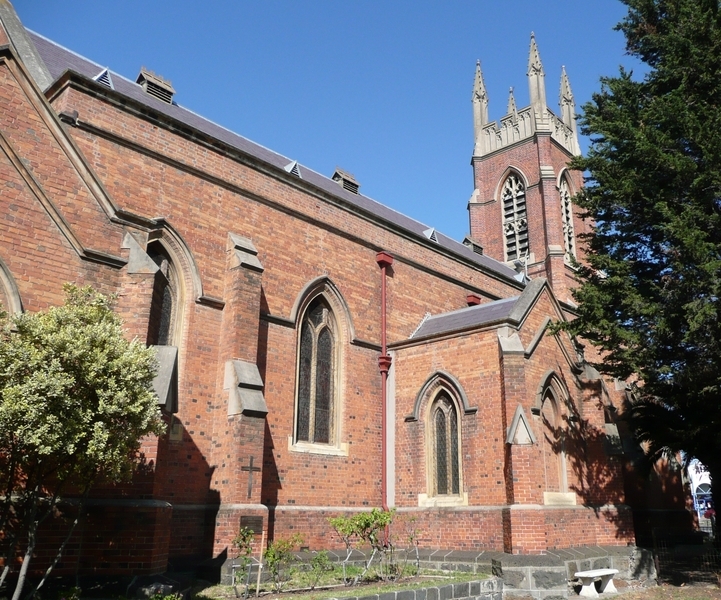 St Paul's Church of England, Geelong is of architectural significance as a work of Charles Laing who was one of Melbourne's first professional architects and city surveyor of Melbourne from 1845 to 1850. Laing also ran an office in Geelong in the early 1850s. The later involvement of prolific Melbourne architect, Leonard Terry, the Anglican Diocesan Architect (1825-1884), is also of significance. 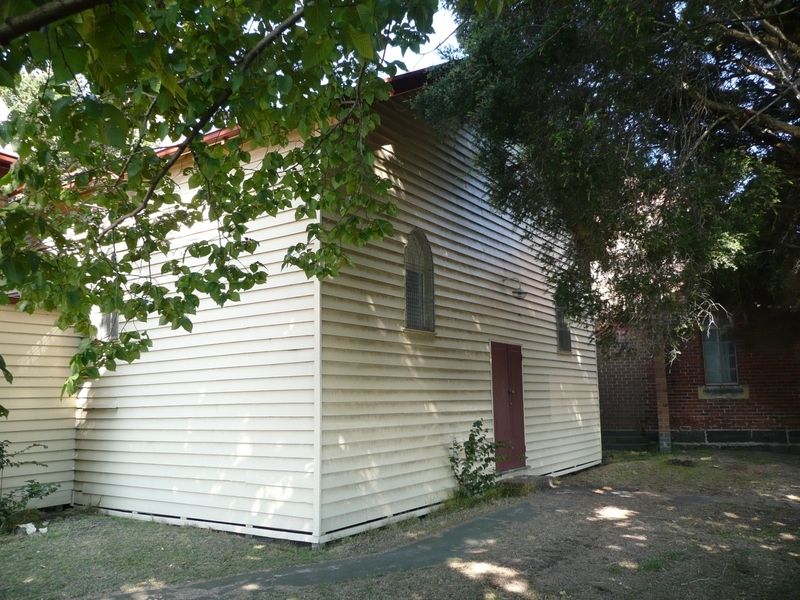 St Paul's Church of England, Geelong is of architectural significance for both its use of face brick externally and timber columns for internal support. 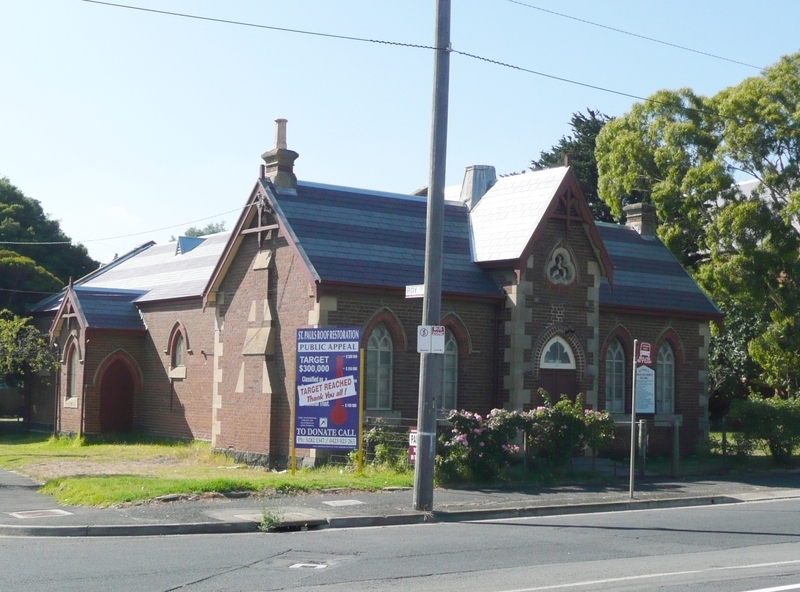 It is the earliest known 19th century Gothic Revival Church in Victoria to adopt both these. 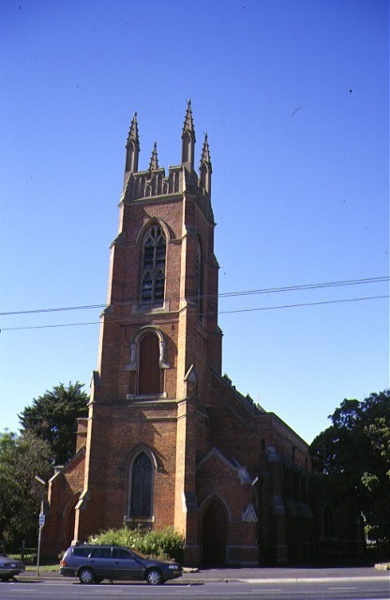 St Paul's Church of England is of historical significance as an early building constructed for the Anglican Church in Victoria and for its association with the early development of Geelong from the late 1840s. In addition to the church, the retention of three 19th century halls on the site, built in 1880, 1884 and 1891, is also of importance. 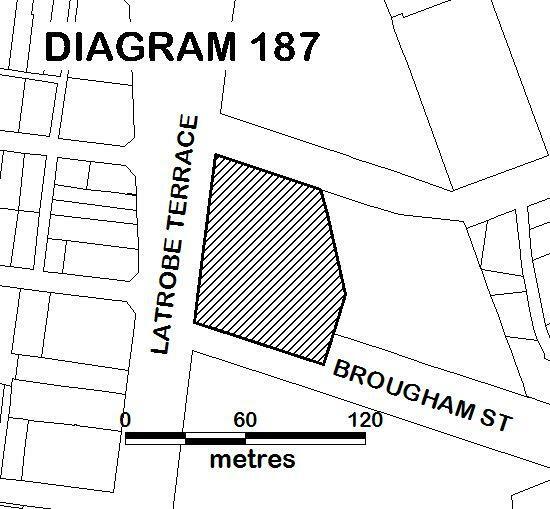 All of the place shown hatched on Diagram 187 encompassing all of Lot 1 on Title Plan 934765 and all of Crown Allotment 6A, Section 44, City of Geelong, Parish of Corio.
. Removal of non-original items such as air conditioners, pipe work, ducting, wiring, antennae, aerials etc, and making good.
. Installation or removal of non-original external fixtures and fittings such as hot water services and taps.
. Installation and repairing of damp proofing by either injection method or grouted pocket method.
. Installation, removal or replacement of hooks, nails and other devices for the hanging of mirrors, paintings and other wall mounted art or religious works or icons.
. Installation of honour boards and the like.
. Removal or installation of notice boards.
. Removal or replacement of non-original door and window furniture including, hinges, locks, knobsets and sash lifts.
. Removal of non-original glazing to internal timber-framed, double hung sash windows, and replacement with clear or plain opaque glass.
. Installation, removal or replacement of ducted, hydronic or concealed radiant type heating provided that the installation does not damage existing skirtings and architraves and that the central plant is concealed.
. Installation, removal or replacement of electric clocks, public address systems, detectors, alarms, emergency lights, exit signs, luminaires and the like on plaster surfaces.
. Installation of new fire hydrant services including sprinklers, fire doors and elements affixed to plaster surfaces.
. Installation of new built-in cupboards providing no alteration to the structure is required.
. Removal of non-original shower and toilet partitioning and non-structural walls in bathrooms.
. Erecting, repairing and maintaining existing signage (directional signage, road signs, speed signs).